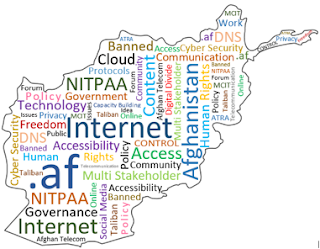 Home Internet Governance Afghanistan Internet History – A Light on The lost part from the Taliban Regime. If you do some google searches about the history of internet in Afghanistan, you will definitely come up with the results that shows year 2002 the starting year for internet in the country. The contents available online also shows that there were no Internet connection in the Taliban regime. But if it was like how it being written all over the web, then why they have announced it banned. I work at Afghan Ministry of Information & Culture (MoIC), that is further more divided into Deputy Ministries of Youth, Culture, Tourism and Information and Publication. There is a Directorate works under the Deputy Ministry of information and publication called Bakhtar News Agency which has more than 70 years of history in Afghanistan Media and journalism. I was pretty much amazed when I heard an employee of Bakhtar News Agency claiming that they had Internet connection back in Year 2000 and 2001 in the Taliban regime. He says “there were only two people in whole ministry within the employees who were able to operate a computer and that was me and my supervisor”, according to him there were only two computers in whole ministry, out of which only one of them had internet connection and only one person was allowed to use internet who was his supervisor. “My job was to type the news that was produced by agency on the computer, put it on a floppy and give it to him, while his job was to send the news somewhere using internet” He says. He has got no idea that through what medium they were connected to the internet as he didn’t had any technical knowledge about the networks and internet connectivity, but he says that they had a line connected to the computer and the connectivity was being maintained by his supervisor. The Ministry of information and culture (MoIC) is located in the center of the Kabul City and is a neighboring building to the Ministry of Communication and Information Technology (MCIT) which at that time was knows as the Ministry of Communication. So there are chances that they might had a connection from MCIT, which also points towards chances of internet availability at Ministry of communication of that time as well. According to a news published on 4 July 2009 by Aljazeera news agency the Taliban bans use of Internet on July 2001 after declaring it against Islamic law. There were some foreign aid agencies that were functional in the country during the Taliban regime, and there is the possibility that they would have access to internet using Telephone lines from the neighboring country Pakistan. But still; even declaring it against the Islamic law and banning it, a question arises that how the Taliban were actually monitoring that no one is using Internet in the country? So even that it was announced to be a ban; there were some people who were using internet given that there was no solution to monitor them. and it also seems that Internet was banned on all Afghanistan in the Taliban regime, but still there were some NGO’s and key governmental organizations that had internet connections at that time as well, and there were some lucky peoples (like that guy) who had internet connection at that time and they were using internet (Lucky people, really, really lucky people). The Internet is growing and boosting each day in Afghanistan. Both the infrastructure and services are getting better then what it was in the last decade (though there is a lot more to change). We have 6 Telecom service providers, 54 Internet Service Providers (according to the ATRA), we have fiber connectivity, 3G, (4G on the way), 5-7 million Internet users and you can find more then 2500000+ Afghan’s on Facebook. With all this limited data available about the Internet, The History of Internet of Afghanistan is not totally complete and someone has to find the lost parts of it somewhere from the shadows of the history. If you know anything about the lost part, please do not hesitate to share it with us by giving comments.